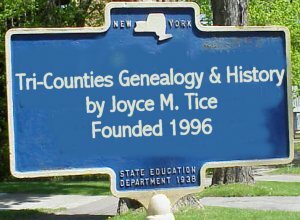 Note from Joyce M. Tice - Elisha Nash was son in law of John Smith having married Caroline Matilda Smith, " Til" in 1878. He had previously been married to Louisa Smith who died in 1875. 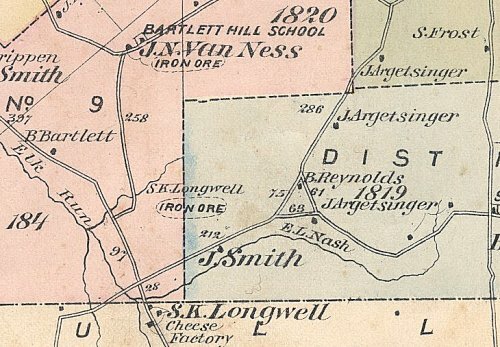 In the above 1875 map, he is shown living next door to his future wife and parents in law. The property of John Smith had originally come from the property of his wife's family, Harriet Reynolds. And now March 29 1894 It is hereby agreed by the parties hereto that in settlement of all payments made on the within there is due on the within April 1. 1894 the sum of Three thousand & Eight hundred dollars $3800.